Phone FRAUDS !! Sharing my own experience..for a Word of Caution !! I got a call this morning, supposedly from Airtel, stating that I’ve won some lottery. The way that guy spoke wasn’t so convincing. So, I enquired the same from Airtel and got to know that this was a FRAUD. Please refer to the details in the text given below. It’ll help. Please spread the word if you feel like !! Subject: URGENT : Airtel LOTTERY – FRAUD or TRUE ?? This is regarding a phone call that I received from supposedly an Airtel executive. Please read on and assist me. I got a call from one Mr. Sunil today (20 March 2010 9:39 A.M.) from this phone no. : +923437831712. He mentioned that he was calling from Airtel Mumbai and informed me that I have won an Airtel Lottery worth Rs.25Lakhs on my phone number. 2. ..and ask for Senior Supervisor Vijay Kumar . 3. ..and supposedly Vijay will tell me how to proceed. Now, I just want to confirm this thing with Airtel as I have had no clue of such a lottery being held. Please assist me by confirming the same. Also Mr.Sunil did not sound like a groomed customer care guy, thereby raising a few doubts !! You have inquired about the details of lottery for your Airtel mobile number 9xxxxxxxxx. We would like to inform you that we request you not to attend those calls, who calls and informs you that you have won a lottery/award conducted by the respective telecom operator. We assure you that these calls do not represent Airtel. 1. Avoid responding to suspicious missed calls from unknown numbers, especially those beginning with +92. 2. Do not respond to any SMS from unknown sources prompting to call on a number. 3. Refrain from sharing any personal information & identity proofs like Voter ID Number, PAN Number, Bank Account Number, Credit Card information or make any payment to people promising lottery or other unexpected awards. 4. Do not disclose your handset IMEI or SIM card number to unknown callers. IMEI (International Mobile Equipment Identity) is a unique code given by handset manufacturer for your number. This can be obtained by pressing *#06#. 5. In case of suspicious calls, report the same to the concerned security authorities / service provider. Posted on March 20, 2010 Categories UncategorizedLeave a comment on Phone FRAUDS !! Sharing my own experience..for a Word of Caution !! Everything we do, can become CREATIVE !! Creativity has nothing to do with any activity in particular – with painting, poetry, dancing, singing. It has nothing to do with anything in particular. 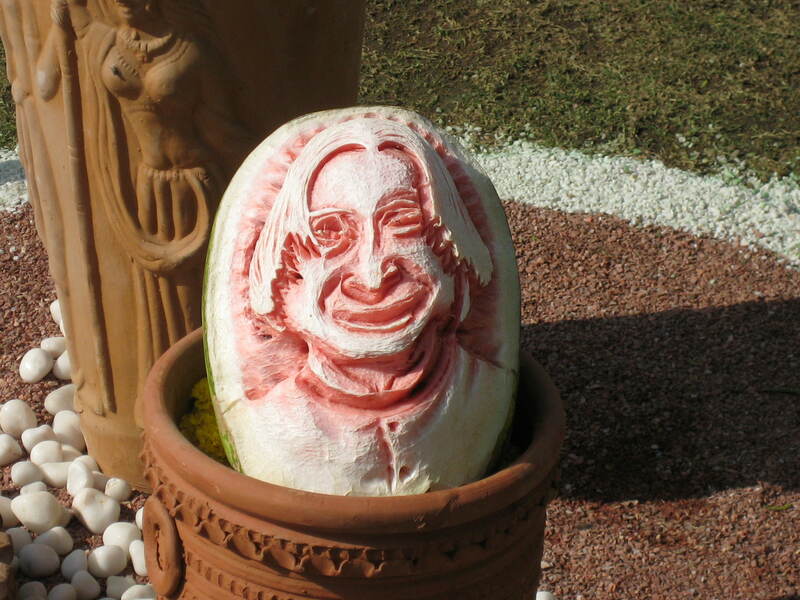 A 'famous' face, carved out on a water-melon !! Anything can be creative – WE bring that quality to the activity. Activity itself is neither creative nor uncreative. WE can paint in an uncreative way. WE can sing in an uncreative way. WE can clean the floor in a creative way. WE can cook in a creative way. Creativity is the quality that WE bring to the activity we are doing. It is an ATTITUDE, an Inner-Approach – how WE look at things. Posted on February 18, 2010 Categories UncategorizedLeave a comment on Everything we do, can become CREATIVE !! Well, yellow is the color of many other things too, but let’s take it offline – I need to maintain hygiene, am not keeping too well!! Ya, so we were talking about “intellect”. Throughout my life, till now, I have never felt so ‘intellectual’ as I am feeling since the holy day of Christmas. 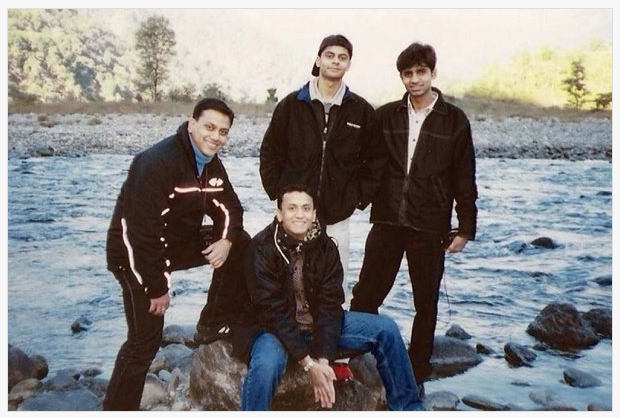 The intellect levels have been on a steep rise since then – and you can see that “enlightenment” in my eyes too. Well, probably am on ‘the road less traveled’ now…recovering .. by shedding this ‘intellect’…to be with the common mankind. 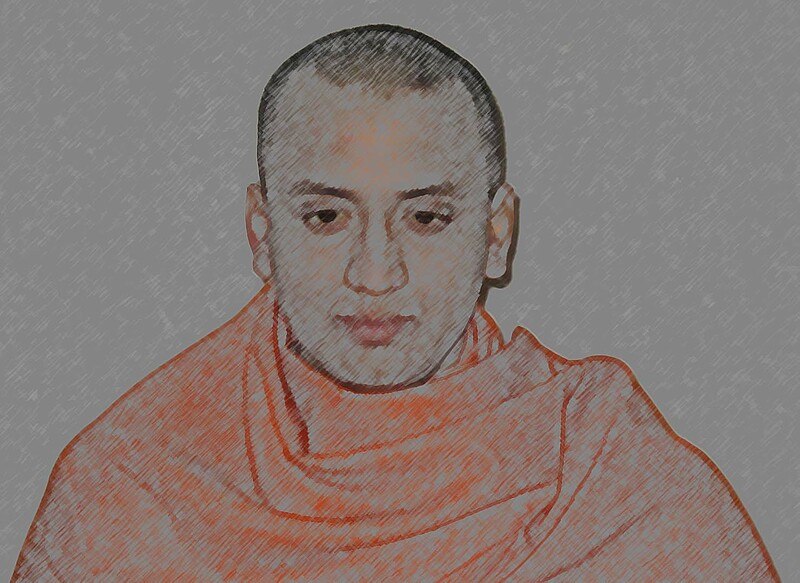 “The monk who shed his Yellow” (yukk!! ..hey think hygienic plz) – am thinking of writing this book. So guys, here I come. Hmmm… pardon me for taking this long route. Am on bed-rest since around 480 hours now… So u wud understand the state of my mind, the sense of restlessness I am in due to this bed-rest.. the irritation of being cut-off from my friends, Music, office, my car etc etc. The good thing is that I’m sliding downwards on the Jaundice bell-curve now and am hopeful of recovering by early Feb. Let’s see. Amen! Posted on January 13, 2010 January 14, 2010 Categories UncategorizedLeave a comment on The Yellow Page !! A SPECIAL wish for YOU ! here’s a SPECIAL wish for YOU ! In the coming year and many more to come ..
May you SPREAD more & more HAPPINESS..
May you SPREAD more reasons for all to SMILE..
May you HELP more & more people to achieve SUCCESS..
May you DRIVE all deserving to PROSPERITY..
May you HELP all to achieve the best of HEALTH ..
Posted on December 24, 2009 Categories UncategorizedLeave a comment on A SPECIAL wish for YOU ! A strange anticipation, before entering a new world, of what would happen next – new place, new people and new relationships ahead – a new phase of life to look forward to. Well, this feeling was quite similar on my first as well as last day at college. But much had happened within me in those four years at Bijwasan. Year1: most of it comprised of settling into the new system post school – joining almost all the college ‘clubs’ – interacting with and getting to know classmates – ‘gangs’ emerging out from within our class of Mechanical & Automation….and a similar observation across all branches. This phenomenon of ‘gang’ formation was not a chemical reaction, but yeah, it depended a lot upon the ‘chemistry’ between folks. Several other factors that led to formation of these ‘gangs’ were: conveyance – common buses and cabs etc, group outings to the bus-pass window in South Campus, sharing of photostat notes (the thicker the bundle – greater the sense of satisfaction), the occasional pilgrimages to the ‘holy Photostat/Project report shop’ at Ber Sarai (looking at the IIT campus from the Ber Sarai while the shopwallah is xeroxing a 3kg book for you, leads the mind in a state called ‘trance’…it goes blank for a while – try yourself!). Ok – so folks participating in all these rituals together, were said to be belonging a ‘gang’. Another thing that I found special during our first year was the setting up of a decently equipped Music Room. And our seniors and super-seniors who, supposedly, “fought for this fundamental right”, were our real heroes. The charm of this “first year” was much enhanced with the diverse ambience of Bijwasan adorned with Golok Dham, Carrot fields, ‘mysterious’ village temples (we used to make stories around these – ‘DamDami Maayi ka mandir’ types), a Reebok Showroom/Factory outlet (the one that was ‘naale paar’), and the local ‘Dal Lake’ on the way to Reebok. I guess this was enough stuff to give you a feeler of a typical ‘first year’ at ASET. Year2: got to know some seniors better – time to do something for one of the clubs you joined – more xeroxes (by this time you ‘personally’ know the Sharma Photostat waalay bhaiyaa) – you also see super-seniors discussing about ‘placements’. As the year is about to end, the summer-project becomes the buzzword. Form groups, decide a project, start it..realise that you need to change the ‘aim’ of the project…ask your mentor “sir, change kar sakte hain?”… And finally manage 1 color copy hardbound and 4 xerox copies of spiral bound (pardon me if the count is wrong – it’s still a confusion for me) the supposed “project report”. Well yeah, the college band and a few performances at fests etc were also quite memorable times for me. Year3: a feeling of being the best and the most confident batch – smarter than 1st and 2nd year ‘bachchaas’ and more energetic than 4th year uncle and aunties!! This feeling comes free with the third year!! The courses also start becoming more detailed into the subjects, covering more of practical and applied stuff than the usually more theoretical stuff in past semesters. For the brainy ones, this is also the time to join courses, workshops, trainings etc to gain that extra edge. Everyone wants to “bell the CAT”. Year4: “TCS might come” someone tells…then “Infy”, “HCL”….and so on. And suddenly the focus shifts on previous year question papers of various companies, surfing placement sites, opening accounts on almost all job-portals, reading interview tips, etc is the usual day. Arranging for a ‘Jugaad’ for the Industrial training is also a key thing of this year, but for most, placement clouds the minds most of the times, come what may. As the year comes to a close – there’s so much on the desk all together- Final exams, Industrial training report (again multiple colored n xeroxed copies) and presentation, and another sweet dilemma for some; “should I go for formal suit (for the interviews)..with a neck-tie or not…or should I borrow it?” – such ‘symptoms’ are also pretty common in the final year. Well, for many it’s a personal journey after this phase – and each experience is unique. All said and done, a few fond memories with me are – the Mechanical and Hydraulics labs – the CAD n CAM lab (I adore this subject) – the trip to Jim Corbett – the two AMITECH performances – my industrial training at Jet Engine Overhauling Complex Indian Airlines (and the ultra costly colored print-outs of the project reports) – the final year project – and of course, above all, the GURUS, our teachers. Most of them were helpful, well equipped with the subject matter and they really tried their best for the welfare of the students. Well I won’t lie here…that’s why I said “most of them” ..and not “all of them”. There obviously were exceptions, but these were out-numbered by the better teachers. These four years, I believe, are much beyond a potpourri of 8 semesters- books- students-xeroxes-teachers and college infratsructure put together. Now when I look back, I see my persona shaping up and my mind getting oriented to learn new things in those 4 years of B.Tech at ASET. It was not just a course in Mechanical & Automation engineering (or any other branch, for that matter). An engineer was being churned out from within each one of us. Like every other experience in life, this one was an enriching one too. Today, I have multiple roles to play in the world – family responsibilities, my job as a Senior Engineer in Location Intelligence domain, my role as a Music-Composer and Video Editor and that of handling Creative Communications for an NGO serving the community – it’s a diverse list. But everywhere I find a piece of ASET in me. ASET has a deep impact on the way I am – be it professional or personal. It’s in the DNA now. Wish you the best of everything. Amen !! E-waste disposal is just a phone call away now : Just call up 1800-419-3283 !! (excerpts from Hindustan Times dated November 01, 2009– Delhi edition – Page 4) : Just wanted to share this info with all. For those who have been wondering what to do with the electronic waste lying at home, here’s some hope. A Delhi-based company has launched the country’s first helpline dedicated to safe and environment-friendly disposal and recycling of e-waste – old, dead computers, keyboards, monitors, TVs and the like. Dial toll-free 1800-419-3283, to get your electronic waste picked up from home and recycled at a factory in Roorkee, without letting any of the toxic elements sully the environment. Posted on November 2, 2009 Categories UncategorizedLeave a comment on E-waste disposal is just a phone call away now : Just call up 1800-419-3283 !! My RECIPE for “Instant NIRVANA” !! Since past few weeks I’ve been escorting my uncle to this hospital in Delhi. We go there to follow-up with the doctor for a neuro-treatment that my uncle underwent last month. Right now the visits are fortnightly, to be reduced to monthly going forward. On these days, I usually need to wrap-up my office work early and have to drive to the hospital with my uncle. Usually, there’s a long waiting-queue out there and the appointment getting delayed by, at-least, 2 hours, means business-as-usual! By the way, this hospital also caters to those suffering from the so called “mental-disorders” and “rehabilitation” cases. Now, I think, the 2 hours delay stands justified, as these “diseases” (a state in which one is not at “ease”) have become so common in the contemporary culture. OK so now, let me come to the point – my recipe for “Instant Nirvana”. The best part is that the ingredients involved are available much readily, anywhere and everywhere – free of cost! You just need to STOP and WATCH. Amidst the usually hectic office-schedules, I wrapped-up the work much earlier than usual, informed the team and the manager and left for my uncle’s place. We then drove to the hospital – got the registrations etc. done – and then WAITed in the long waiting-list– despite reaching 30 minutes prior to the appointment. Well, this wasn’t something that I had not expected, but still, I was ‘irritated’– much out of habit! Sitting in the air-conditioned “waiting room”, the mind went ‘idle’ for a minute, or probably two, not sure (actually if you could count that – means you were not idle!). And then I suddenly started to THINK. It started with thoughts of some office-emails yet to be answered – then my office desktop – “oh the mouse out there is so pathetic. I’ll ring-up the IT tomorrow.” – and then many more “GDs and seminars” with me speaking on everyone’s behalf, regarding my past failures and successes, plans for the future, both professional as well as personal. Ok. All said and done (‘thought and planned’, perhaps) – I then suddenly received a promotional SMS on my phone. I deleted it. But, then started a sequence of phone-calls and SMSes to my friends. Not many though – just around 15 minutes. Tired of sitting ‘idle’ (well this is what we normally call ‘idle’) – I got up for a stroll – down the long corridor – to the hospital’s only green-patch, a small and beautiful park. There’s a tree out there in the middle, with a few benches around in its shade. Here’s where the actual ‘cooking’ for ‘Instant Nirvana’ starts – much under this ‘BODHI TREE’! I also fondly call this dish of ours as ‘momentary enlightenment’. – A caring mother, helping her young daughter (probably 20-25 years old) with her wheel-chair, for her evening ‘walk’ – as the daughter lay numb in the chair, not even blinking. The mother seemed to be much experienced at ‘handling’ the medical gear – that was in place to support her daughter. She was doing everything so perfectly. – A much fit-looking patient with his visiting-relatives sitting in a group on the grass-carpet. It looked more like a family picnic as the little one’s ran around, playing and hopping– and asking their dad to fetch them some “juice and chips” from the small food-joint out there. – A confused-looking guy, with thick glasses on his eyes and a bag in his hand, roaming here and there – asking everyone, “koi aaya to nahee thha mujhe lene?” (“Did someone come to pick me?”). I later realized that he was one of the patients, waiting for an ‘out-pass’ – the psychiatric and rehab in-mates, out there are, allowed a quick trip outside the hospital with their local guardians. I realized that he was one such patient waiting for his guardian since afternoon – when one of his hospital-attendants shouted, “ab poochhega to sar phod doonga tera. Bola na vo jaam mein phasa hua hai. Aa jaega ek ghante mein – tabb se ghume ja raha hai – pareshaan kar raha hai. Chup chaap baith ja udhar.” (“Another time you ask and I’ll smash your head! Didn’t I tell you that he is stuck in a traffic-jam? He’ll be here in an hour or so. This man is just roaming here and there and irritating everyone. Just shut-up and sit there.”). And the poor guy wasn’t even ‘sane’ enough to feel ‘humiliated’! – Some hospital staff – gardeners, rag-pickers etc doing their daily-jobs with a “business-as-usual” look on their faces. – Visitors ‘new’ to this place laughing at the ‘antics’ of some of the patients. – Some ‘stone-faced’ family members/visitors/attendants of some patients, who were not so ‘new’ to the place, probably. – A well built handsome lad, a patient – much to my surprise, taking a stroll with his much tired hospital-attendant. – A patient trying to persuade his attendant to fetch him “sirf ek” (just one) cigarette. – Flies and ants around this “BODHI TREE’” buzzing around and bugging me again and again. Well, I did put my deo on, but still these flies .. Not sure why !! – Two attendants having a quick-chat as their ‘patients sat patiently’ on the green grass carpet. One of them looked charged up and said, “mera patient na engineer hai uss company mein, par do maheene se isse ‘ye’ ho gaya hai. Chupchaap rehta hai, jaada tang bhi nahee karta. Isliye aajkal apna hisaab theek hai.” (“My patient is an engineer in that company, but since past 2 months ‘this’ has happened to him. He just stays quiet always, doesn’t trouble much. So it’s good for me nowadays.”). Listening to this, the other ‘attendant’ looked a bit saddened. He said, “mera waala to nashedi hai, poore din ya to ghar waalon ko galiyaan deta rehta hai – ya daaru mangta rehta hai. Ab de to duun usse, paise bhi de dega, par saab ko pataa chal gaya to gayee naukri”. (“Mine is a drunkard, the whole day either he is cursing his kin or asking me to get some liquor. Now, I can fetch him some and he’s ready to pay me too, but I’m afraid if sir gets to know, I’ll be kicked out”). – A pretty looking ‘dietician’, very pretty to be precise, walking across the park speaking on her phone, probably to her fiancé. Following her was a group of nurses, probably off-duty now, walking across to the gate as all the heads turned (well, most of them did) and the eyes followed the troop till they disappeared. Having gathered all these ‘audio-visual’ ingredients, the MIND went ‘inert’ yet again – as in INERT ..really inert! . Past successes-failures, future-plans, all washed out – Nothing else matters! I knew this was very momentary – but those few ‘idle’ minutes felt like the ‘supreme’ – the one beyond matter – beyond space – beyond mind-body-soul! It was time to meet the doctor now. Soon I was at my car’s seat – then the highway and the toll-plaza – and zooooom…. this freshly prepared ‘momentary enlightenment’ – the ‘INSTANT NIRVANA’ started dissolving into the colors of the moribund phenomena called “life”. But, strange enough, I sometimes feel addicted to this ‘dish’ – a dish with no taste – no color – no shape – no size – but still ‘addictive’! I wish this dope stays for sometimes. Feels like ‘instant Buddha’, sometimes. Posted on August 20, 2009 December 14, 2012 Categories Articles/Write-upsTags instant nirvana, life, nirvana, philosophy5 Comments on My RECIPE for “Instant NIRVANA” ! !